History of Srinagar dates back to primeval era. The place finds mention in many ancient texts albeit by different names. For example, the town has been mentioned as Sri Kshetra in Skanda Purana. Sanatkumar Samhita mentions it both as Sri Kshetra and Sudarshan Kshetra. According to Mahabharata, the area was under the rule of Kirat King Subahu (Van Paraba, Chapter 140). If we are to believe hearsays, Adi Shankaracharya came here in the 8th century AD and rid the town of a demon called Sri Yantra. Initially, Garhwal region was ruled by fifty two small principalities. They had their forts (garhs) in different regions and hence the name Garhwal. However, the consolidated Garhwal State was founded in 823 AD by Raja Kanak Pal of Parmar dynasty. He was a Rajput prince from Malwa and had come here on a pilgrimage to Badrinath. On the way he met King Bhanu Pratap of Chandput Garhi. The king gave his only daughter in marriage to Kanak Pal and over the time Kanak Pal became the king. He and his descendents ruled over this region until 1803. Among them, Raja Ajay Pal, who played an important part in consolidating the kingdom, was the most noteworthy. 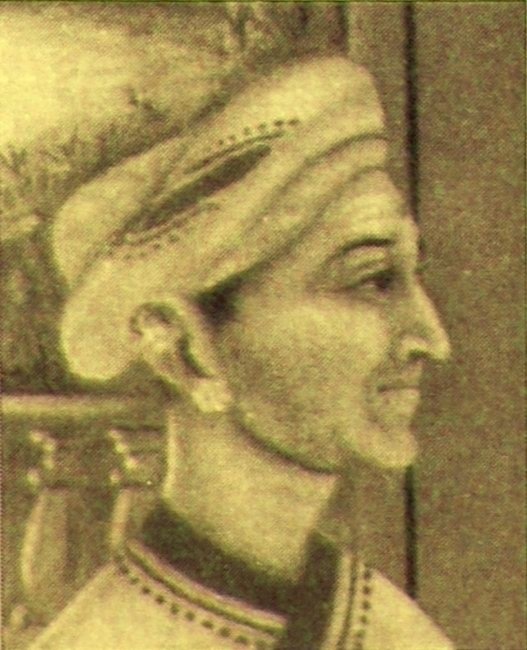 Raja Ajay Pal ascended the throne in 1358. He was the 37th ruler of the dynasty. One by one he defeated all the 52 independent chieftains and established a unified rule over the region. He later shifted his capital to Srinagar and soon the hilly hamlet was reborn as a prosperous city. Balbhadra Shah (1575–1591) was another important ruler of this dynasty. He was the first king to take up Shah as his title. May be he took this step to show that Garhwal was independent of Mughal empire. King Mahipat Shah (1622 to 1631) was an able ruler who further consolidated his kingdom. However, he died young and at the time of his death, his son Prithvi Raj was only seven years old. Therefore, Mahipat Shah’s widow Karnavati acted as a regent and ruled in the name of King Prithvi Raj. The queen was an able ruler. When in 1640, Mughals under Najabat Khan attacked Garhwal she defeated the troop thus defending her kingdom. It is said that she used to cut off the nose of the invaders and thus earned the nickname of Nakti Rani. Fateh Shah (1684 to 1716) was the next important king in this lineage. Under his rule Garhwal became a very prosperous state. He was a patron of art and culture. Nine illustrious personalities graced his court. They were Sureshanand Barthwal, Rudridutt Kimothi, Revatram Dhasmana, Hari Dutt Nautiyal, Shashidhar Dangwal, Vasvanand Bahuguna, Kirit Ram Khanthola, Sahdev Chandola and Hari Dutt Thapliya. The king also fought many wars. Among them the Battle of Bhangani is noteworthy. 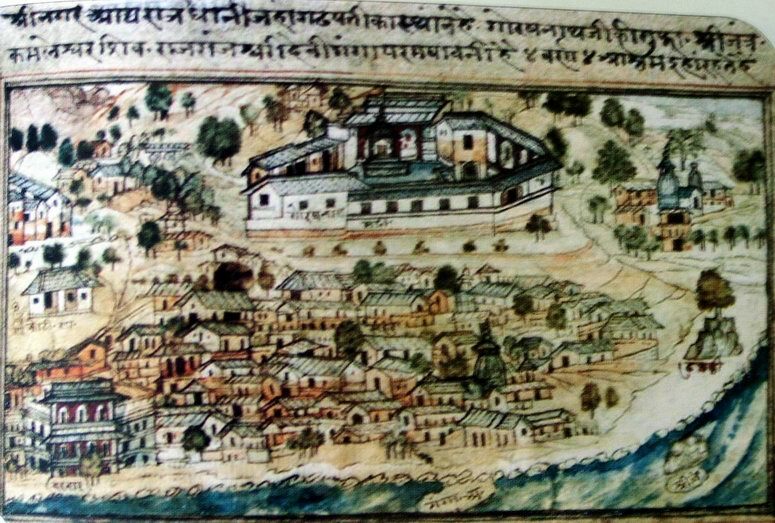 The modern town of Dehradun was also established during his reign. After the death of Fateh Shah his son Upendra Shah ascended the throne. However, he died within one year. Pradip Shah was the next king. His was also an able ruler and soon Garhwal became a prosperous state. Unfortunately, the prosperity of Garhwal attracted the attention of many enemy states. Najib-ud-daula, the Governor of Saharanpur, invaded it in 1757 along with his Rohilla Army and captured Dehradun. However, the Garhwali forces defeated the Rohillas and retrieved possession of the Dun region in 1770. Pradyumna Shah was the last ruler of the Parmar dynasty to rule from Srinagar. In 1803, the Gorkhas invaded Garhwal inflicting heavy losses on the Garhwali force. In order to organize fresh army King Prdyumna escaped from Srinagar. He first went to Dehradun and then to Shaharnpur. He was killed in the battle of Khurbura in January 1804 and his brother Prince Pritam Shah was taken captive. Thus the 900 year old rule of the Parmar Dynasty over Srinagar came to an end. However, the young prince Sudarshan Shah survived the war. He lived under British protection in Jawalapur near Haridwar. 1803 was a bad year for Srinagar for another reason also. Apart from the war, which saw the end of the Parmar dynasty, the town also suffered great natural calamity. On September 8, 1803 a massive earthquake destroyed much of the town causing hardship to its residents. From 1803 to 1815, Srinagar along with rest of Garhwal, remained under Gorkha rule. The Anglo Gorkha war of 1814 brought about further changes in the political scenario of Srinagar. On 21st April, 1815, the British established their rule over the eastern part of Garhwal, which includes Srinagar. Rest of Garhwal was given back to Sudarshan Shah. He later established new capital at Tehri and the principality began to be known as Tehri Garhwal. In 1840, Srinagar lost much of its administrative importance. The administrative headquarters was shifted to Parui from Srinagar. It did not however, affect other aspects of the town and it continued to retain its cultural heritage. In 1889 AD, Srinagar Town Area Committee was formed. August 26, 1894 was another bad day for Srinagar. On that day, a massive flood wiped away the entire town and destroyed all its relics. However, a new town was rebuilt in its place and life went on as usual.